Cycling in Northern Italy has been more about ticking off the miles rather than taking in the sights. 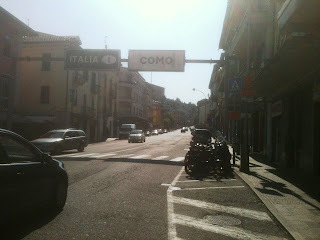 I didn't see George Clooney in Como or a Stravidarius in Cremona. We did cycle 100 miles without getting squashed by an Italian lorry so that's a bonus. The main feature of the day was the heat. Scorchio, scorchio, scorchio. I've discovered that I'm not very good once the thermometer goes over 40 degrees. It hit 45 degrees today. Now that's hot. I have the most ridiculous cycling tan which Richard has threatened to photograph and publish on the blog. Luckily he doesn't know how to. Writing the blog retrospectively I can't remember if today was the day of 3 pizzas. 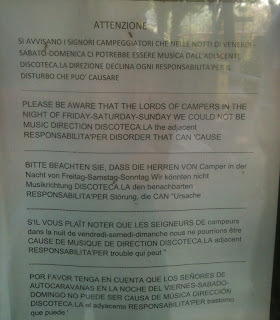 It definitely involved at least one at the campsite in Cremona, and a litre of the local wine. 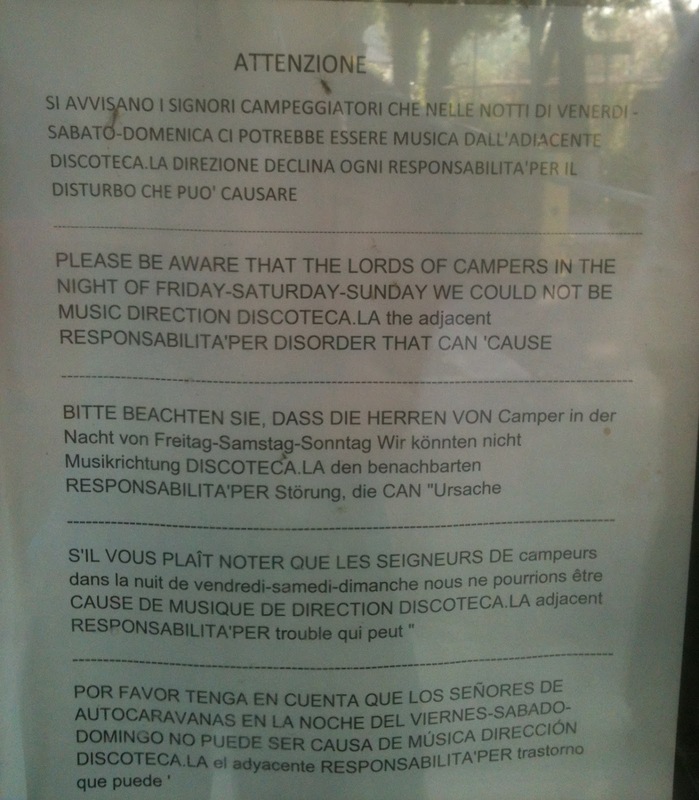 Strange places Italian campsites and this one seemed to be populated by single retired men with large wine guts.